Following the announcement of Chancellor George Osborne’s final budget of this government, RT takes a look at the key points from the speech and gathers the opposition’s reaction. In his most political budget to date, Osborne flaunted major tax cuts in an attempt to win Conservative votes, but failed to mention investment in the NHS or potential further cuts to public services. A big crowd-pleaser included a Help to Buy ISA for future homeowners and claims that the deficit as a percentage of GDP was steadily declining. In the main, however, the Chancellor’s plans targeted traditional Tory voters: the wealthy and older Britons. Osborne said he would raise the level of tax free earnings even further, to £11,000 in 2016. He is already implementing a rise from £10,000 to £10,600 in April, and he said this was a step forward towards the 2010 pledge of £12,000 tax free. He further said the 40-percent tax rate would only apply to those earning £43,000 or more from next year, an attempt to benefit the middle classes. Inheritance tax was also slashed, with the chancellor announcing parents would be able to leave a property up to the value of £1 million to their children tax free. The government announced greater investment in renewable energy, and revealed it is entering negotiations to fund a £1-billion tidal power project in Swansea, South Wales. While it might present an opportunity for the Conservatives to attract the support of environmentally-conscious voters, the project will require subsidies three times more costly than current energy systems. The UK’s oil and gas industry has suffered following the recent oil price crash, as well as being taxed harder, with a rate of 60 to 80 percent. The high taxes were introduced when the price of oil was over $110 a barrel, compared to the current price of $53. 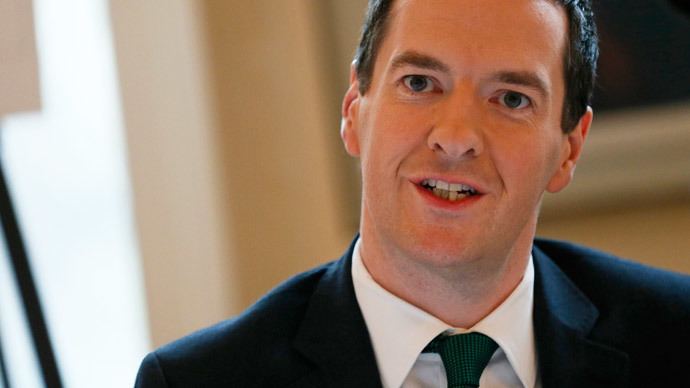 Osborne said a tax break to accompany his ‘investment allowance’ was on the cards. The allowance lets oil firms invest at a reduced rate. He insisted the global reduction in oil price would filter down to the average homeowner, and said he would cancel the fuel duty increase currently scheduled for September. Osborne announced a penny or two off the price of a pint. Although this isn’t an earth-shattering amount, it provides a guaranteed sweetener for potential voters. Whisky and cider also saw tax cuts after last year’s duty freezes. The housing crisis has become a sore point for the coalition government, with mass-protest targeting the lack of affordable housing, particularly in the capital. The chancellor revealed his Help to Buy ISA, which would give first time buyers saving for a deposit an extra 25 percent from the government. Osborne announced that for every £200 saved by home buyers, the government would provide and extra £50. The move was deemed “high risk” by the Office for Budget Responsibility (OBR) shortly after the announcement. The Liberal Democrats were quick to point out many of the popular policies were originally theirs, but the chancellor faced staunch criticism from his Labour Party opponents. Opposition leader Ed Miliband said the budget praised the “recovery of the few, from the government of the few,” saying Osborne’s claims that living standards had improved since 2010 were based on a contrived measure. He attacked Osborne for his failure to implement a £7-per-hour minimum wage, saying the recent increase of 20p was simply not enough for families on the breadline. The Labour leader also roasted the chancellor on his failure to address National Health Service (NHS) spending. He claimed the Conservatives would use the privatization of the health service to subsidize further cuts. The OBR also called their analysis “difficult,” saying they had not been given the details of costings for a large number of policies until just before their deadline. The budget also faced criticism from the Trade Union Socialist Coalition (TUSC), which said in spite of Osborne’s words many Britons were facing a bleak future. “George Osborne says wages have started to increase but – that is only if you include bankers’ bonuses in the figures! In fact, they are still lower than they were before the ‘Great Recession’ – for young people a massive 12.5 percent lower,” he said. “A 20p-an-hour increase in the minimum wage is a drop in the ocean compared to that. TUSC is campaigning for an immediate £10-an-hour minimum wage for all with no exemptions,” he added.